Afghan refugees living in Iran and Pakistan will receive a six-fold increase in cash grants upon their return to Afghanistan, according to the United Nations Refugee Agency (UNHCR). “We want to support the reintegration of Afghan returnees in their country by paying them more,” Nadir Farhad, a UNHCR spokesman in Kabul, told IRIN. Each Afghan national who returns to Afghanistan in 2007 will receive US $100. This is in addition to transportation assistance which the UN agency provides to repatriating individuals. UNCHR began its Afghan voluntary repatriation programme in 2002 following the ousting of the Taliban regime in Afghanistan. The agency has since helped 3.7 million Afghans repatriate - the single largest repatriation operation in the organisation’s 55-year history. A further one million refugees returned to Afghanistan without assistance. More than two million Afghan refugees currently live in Pakistan and about 900,000 stay in Iran. UNHCR plans to assist about 250,000 Afghans who want to voluntarily repatriate in 2007, a significant slump in numbers from the post-Taliban period of 2002 and 2003 when more than one million returned. Insecurity in the south and south-eastern parts of Afghanistan coupled with limited socio-economical opportunities has slowed the repatriation pace. Only 6 percent of the overall 4.7 million Afghans who have returned to Afghanistan since the US ousted the Taliban in October 2001 have settled in the country’s volatile south. A majority of returnees have chosen to return to the relatively calm capital, Kabul, and some other major cities in the north of the country. 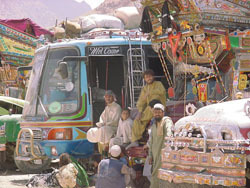 In February 2007, the government of Pakistan, in collaboration with UNHCR, issued registration cards to Afghan refugees living on its territory, extending their stay in the country until 2009. However, a substantial number of Afghans are still unregistered in Iran and Pakistan with no legal support from the UN or their host countries. The government of Iran recently issued a 40-day warning to all unregistered Afghans to leave the country. “We only support Afghan refugees that have registration cards from their respective host governments,” said Farhad, adding that UNHCR would not provide assistance to unregistered emigrants who face deportation from Iran. Unregistered Afghans in Pakistan who want to repatriate have until 15 April to request UNHCR’s assistance. Beyond financial and transportation assistance to those who voluntarily repatriate to Afghanistan, the UN refugee agency has said it will provide extended reintegration support only to “most vulnerable” families. The organisation has a US $52 million budget for its Afghanistan operations in 2007. It aims to use part of this money to help about 11,000 disadvantaged families rebuild their houses in the war-torn country. According to UNHCR, for decades Afghans constituted the world’s single largest refugee population. At the height of the exodus, up to eight million people were living outside Afghanistan, mainly in Pakistan and Iran. Many other Afghans have travelled to more than 70 other countries. In the five years since repatriation began, Afghanistan has become the world’s largest returnee recipient.